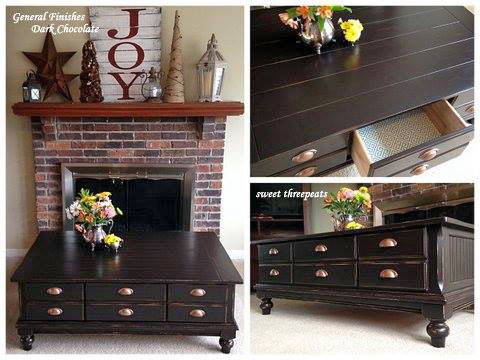 Shannon from Refurbished by Sweet Threepeats says, "Thank you General Finishes for creating such a beautiful color - Dark Chocolate Milk Paint is amazing! We are loving the rich finish on this custom coffee table painted for our client. We'll definitely be using this color again!!"